Well, that was fun! 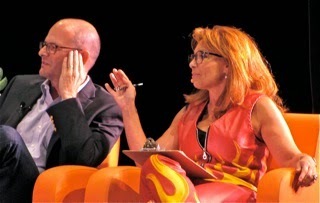 The eighth Feet To The Fire Forum is in the can and it was a hoot! Costa Mesa Television (CMTV) was on hand to film the event and it will be available for viewing via streaming video and in the regular play list early next week. I'll let you know the schedule and provide you with the link when it's available. It will be worth the 90 minutes it takes to watch it. You can also read Nick Gerda's account of the evening in the Voice of OC, HERE, for more details. **Note: Our friends at KOCI radio broadcast the event live and have the recorded audio available for your listening pleasure HERE. 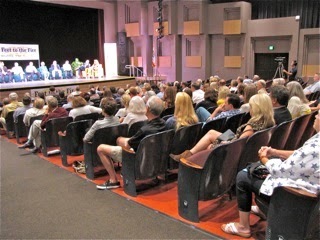 Held at a terrific venue - the Robert B. Moore Theatre on the campus of Orange Coast College in Costa Mesa - this event had all the elements we've come to expect from Barbara Venezia and her crew and more! 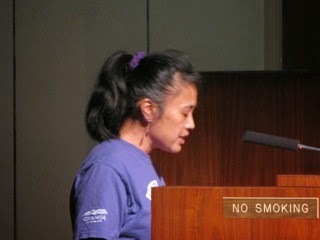 The questioning was focused and Venezia ran a tight ship, not letting speakers stray too far afield with their answers. And some of the sparring between candidates was "spirited", to say the least. The venue seemed perfect for this event. The auditorium holds 900 people and I think it was about one-third full. The lighting was good, the sound was good and the crowd was both attentive and, at times, raucous. Unfortunately, one woman - sitting about four rows directly behind me - threw a little damper on the event as she heckled and shouted out through most of the meeting. I couldn't identify her, but those who had close contact with her trying to get her to be more respectful said she was probably drunk... she sounded like it, anyhow. The crowd was filled with partisans for many of the candidates. Based only on a couple of outbursts I'd have to say Jay Humphrey had the most supporters in the room, although both Tony Capitelli and Chris Bunyan evoked some cheers, too. Only Mayor Jim Righeimer seemed to generate jeers from the crowd. Al Melone, Lee Ramos and Rita Simpson evoked few cheers from the crowd. 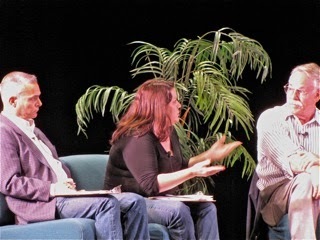 The format was pretty free-flowing, with Venezia and her cohorts - Daily Pilot Editor John Canalis, Daily Pilot City Editor Alicia Lopez and Voice of OC Managing Editor Norberto Santana, Jr. sharing the questioning. Orange County Register columnist, Jack Wu, is honeymooning and didn't make this event. First, a couple general observations. For me, the biggest surprise of the evening was the dismal showing by candidate Lee Ramos. He seemed ill-prepared for the evening - and this will be his only appearance at a forum during the campaign. His answers were vacuous, even on those issues about which he had special knowledge - like Fairview Park, for example. He seemed to just be marking time up on the dais. He was cordial and spoke in broad platitudes about the need to get along, yada, yada, yada. Methinks the boys of the OC GOP are asking themselves why they supported him about this time. Simpson, in my view, actually did better than Ramos - something I never expected in a million years. She still has no clue about almost every important issue in the city, but she did better than old Lee. Al Melone was slightly better than Simpson, but still came up with some very strange comments. Righeimer had lots of answers but, from the tone of the crowd, I'd have to say that most were not persuaded by his answers on many issues. He was pretty thoroughly pummelled throughout the evening. 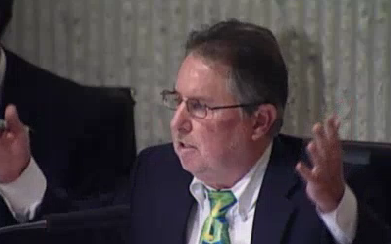 It only took six minutes before he attacked absent candidate Katrina Foley during the question about housing density. He fell into his chant about previous councils "blowing through reserves" shortly thereafter with a predictability that is astounding. "I'LL REST ON MY RECORD"... GREAT! It appeared that Righeimer had the toughest time last night. He's the only candidate in attendance with a track record and, as a result, many of the questions about municipal subjects were those he's either presently dealing with or has been responsible for. I was not surprised that the questions seemed to be tightly focused on him for awhile. Righeimer was asked about the planned Orange Coast College expansion - he recently made a big deal about it and held a community meeting on the driveway of a home near the campus. He said he'd met with OCC President Dennis Harkins and has no problem with the expansion as long as it stays within the footprint of the college. Jay Humphrey observed that the City has no authority on this issue, and that the college had three community meetings and had actually listened to the concerned of contiguous residents and were working to resolve those concerns. Righeimer tried to interrupt him - again, quite predictably. 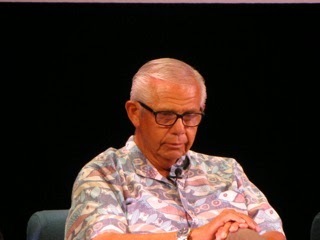 On the issue of the Santa Ana/Colleen Island annexation and related development within that island - another recent hot-button issue - Righeimer tried to dance around the issue, indicating that the city didn't even have a development plan before it yet. 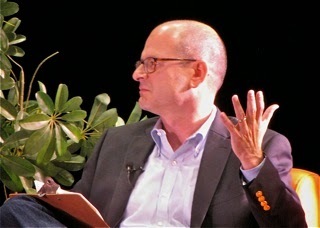 He tried to deflect criticism of the 6,000 square foot lot size vs. the county 7,200 minimum by stating - without attribution - that Newport Beach just did a similar process. 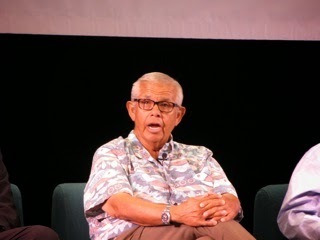 During the discussion Humphrey reminded him and the audience that the developer had been working with the City for TWO YEARS on their plan before the annexation was broached! Santana brought up the now-notorious 60th Anniversary debacle and wondered "what went wrong"? Specifically, he brought up the settlement with former Public Affairs Manager Dan Joyce, who had been on paid administrative leave for most of a year before receiving a settlement of $170,225 recently. 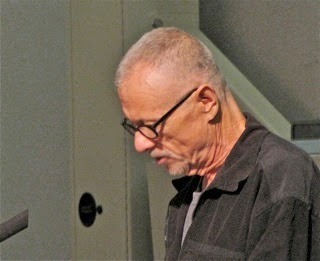 Righeimer attempted to deflect responsibility for the mess, indicating that a senior finance person violated the policy by approving payments without proper authorization. This is NEW information to most following the issue and made us curious about just whom Righeimer meant with that accusation, and what action, if any, is being taken on that front. He also said the settlement was approved on a 5-0 vote, which would have occurred during a closed session. He said proper procedure was not followed. (I found myself thinking about HIS mess with the 200+ layoff notices that were issued by not following proper procedure). 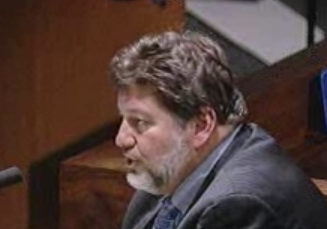 Capitelli indicated he didn't have enough facts to offer a valid opinion. Ramos said it was carelessly done. LEE WANTS FAIRVIEW PARK AS-IS! Lopez brought up the subject of sports fields and Fairview Park. Ramos, who is a member of the Fairview Park Citizens Advisory Committee, almost knocked me out of my chair when he said he'd like to see the park stay the way it is! The question of restoring the old method of managing Public Comments at council meetings was broached. 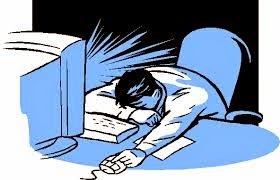 Bunyan blamed it squarely on Righeimer, who tried to justify bifurcating the comments segment by indicated that people waiting to do business before the council shouldn't have to wait until after midnight! The crowd was not happy about that answer. Humphrey referred to his previous tenure on the council and said, "we never had that kind of a problem." 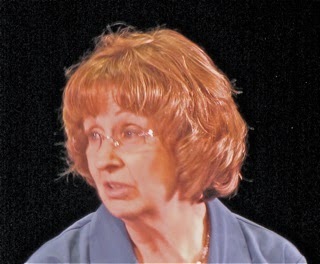 Bunyan, Capitelli and Humphrey indicated the change should be reversed. The subject of Rehab Homes took a lot of discussion. Righeimer mentioned that Newport Beach has already spent over $3 million on it and it's still not finished. Venezia asked the panel what they would do. Bunyan mentioned the City of Orange ordinance. Righeimer said there's an ordinance coming before the Planning Commission next week that will begin to address the issue, but that folks in rehab facilities are covered by the Americans with Disabilities Act (ADA), so lawsuits are sure to follow. 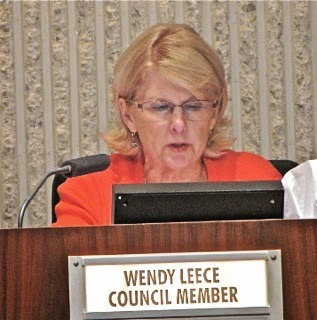 Humphrey reminded Righeimer that Wendy Leece had proposed an ordinance like that in Orange two years ago, but the council chose not to do anything with it. 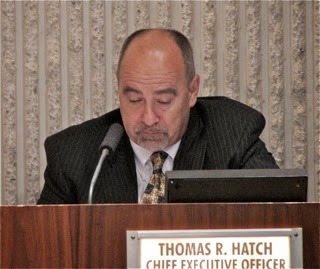 Venezia observed that Costa Mesa seemed not to learn from Newport Beach's problem and speculated that the cities should have combined their efforts on the subject. Ramos indicated that the subject was fracturing the city and that we need to come together to resolve it. Well, duh, Lee! 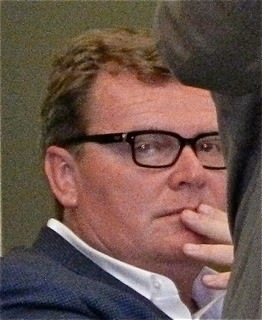 Capitelli was concerned about acting in haste and fighting a losing battle. Next up was the subject of Public Safety - specifically, the Costa Mesa Police Department. Canalis prefaced it with a summary of the current status of the CMPD - 108 sworn officers out of an authorized strength of 136 and only 50 on patrol. Humphrey corrected the record, indicating that of those 108 officers, at least 16 are out injured. He also observed that the hostile attitude between the CMPD and the council majority has created many departures. Righeimer brushed off the "50 on patrol" as always being at that level. Bunyan mentioned the lack of lateral transfers into the CMPD, also blaming the hostile work environment. Melone expressed concern that by 2015 we would only have a bunch of rookies on the CMPD. It was also observed that many of the speciality units - Vice, K-9 and Narcotics have been de-staffed. Nobody had a quick solution to the issue except to move more quickly with the staffing problem and to change the toxic atmosphere so lateral transfers could be attracted. 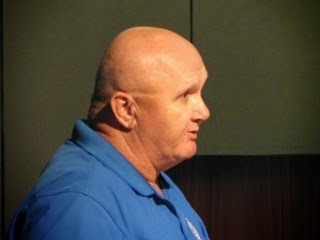 Canalis asked Righeimer why, in the interest of harmony, did he and others not just drop the lawsuit against the CMPOA. Righeimer said he just wanted to get the parties to be deposed under oath. He said that the police association had hired a private detective to catch a council member in a compromising situation as a move of EXTORTION! Well, I'm thinking that there really has been NO evidence to that fact and that he might just have put his foot into his mouth. I'm sure members of the CMPOA will be watching that tape next week to affirm what he said, and what legal remedies might be appropriate. The question of pension sustainability was broached. Most candidates agreed that it was not sustainable, but none offered workable solutions. Santana postulated that spending 65% of the budget on safety positions was extreme. Most agreed. Ramos said he thought 80% was more realistic! What? Humphrey indicated that CalPERS had high returns the past two years, which was helping to resolve the unfunded pension liability. 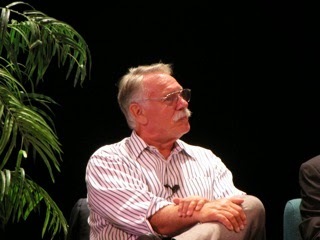 Righeimer observed that only when cities began to file for bankruptcy would the State do something about it. 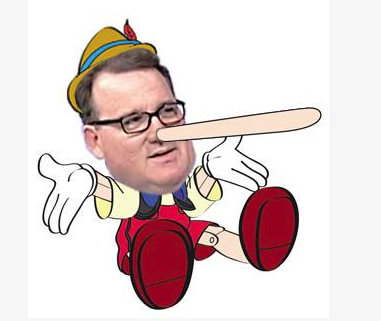 Did we mention that his Pension Committee has already had a workshop on municipal bankruptcy? Ramos suggested four possible solutions: 1) Raise taxes; 2) get Sacramento to work on it; 3) Use Bonds and 4) Increase property taxes. Melone felt current employees needed to pay more. Homeless was up next. Lopez wondered what happened to the proposal to create transitional housing at Civic Center Park. Capitelli, who deals with homeless issue, said the city blew it when considering it because it was not zoned for that kind of use. He said Mercy House has identified 10 locations in the city that would work, but couldn't identify even one of them. Humphrey mentioned converting existing motels - or portions of them - into Single Room Occupancy (SRO) units for transitional housing. Capitelli said the issue is complicated. Righeimer mentioned the facilities that attract homeless folks here - the food and medical care outlets. Melone said we need to work on the mental illness issue. 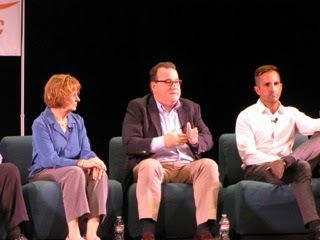 When asked for a yes or no answer on whether they would support Medical Marijuana sales in Costa Mesa, only Simpson and Melone said no. The subject of the recent labor agreement was discussed and Santana wondered if it was all worth it just to outsource street sweeping? Righeimer defended the agreement, indicating that millions will be saved. He said the average salary for miscellaneous employees is $105,000, then amplified that it included all benefits, including health and retirement. When the evening ended most folks with whom I spoke, or overheard, seemed to agree that it was a success. Righeimer's little knot of supporters were NOT happy with the evening. In fact, Mayor Pro Tem Steve Mensinger was observed raking Lopez over the coals. 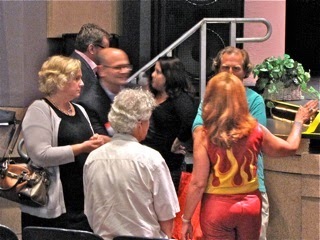 Remember two years ago when Marnie Primmer - the moderator at the Eastside forum - was chastised for aggressive questioning of Mensinger. What is it with these guys? Twice now they've picked out the woman in the group to chastise! If this was the NFL they'd be benched or fired, for goodness sake! 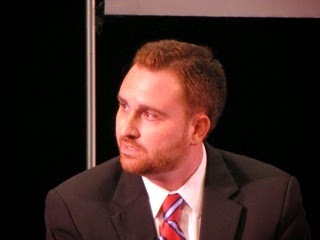 I look forward to the next candidate forum early next month. My friends of the Eastside Costa Mesa Neighbors Group also put on a good event. We know Ramos won't be there, but the question is, will Righeimer show up? Did you see Brad Zint's piece in the Daily Pilot, HERE, in which he tells us that representatives of one of the two competing Medical Marijuana Initiatives for which petitions are being circulated in the city presented more than 11,000 signatures to the City Clerk Tuesday, and that she and her staff did their processing of the paperwork and delivered it to the Registrar of Voters for validation of the signatures Wednesday? I found the article, and what it represents, to be fascinating - particularly in light of councilman Gary Monahan's recent botched attempt to get his fellow council members to join him in support of his own Medical Marijuana Initiative recently. 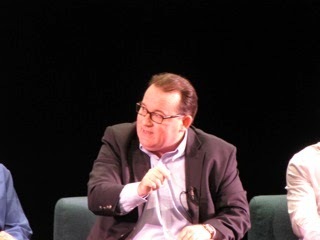 As Zint mentioned, on the sly he had help from contract City Attorney Tom Duarte in stealthily crafting his initiative, apparently without so much as a heads-up to his fellow council members. He sprung this on them with very little time for them to consider the issue. As a result, his proposal received NO SUPPORT from the council - not even a second to his motion. Personally, I don't think his initiative was all that great, but apparently the spokesman for this new initiative did. I'd rather have a strong ordinance in place to manage the sale of Medical Marijuana BEFORE something like this new initiative lands at our feet so we, the city, can call the shots about how this issue is managed. Monahan blew that one for us in his haste. 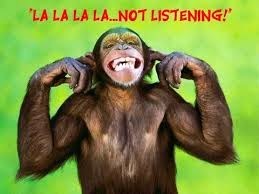 DON'T ASK, DON'T HEAR "NO"! Zint also said Monahan's proposal "didn't get much vetting from the council or the Police Department." Well, yeah! 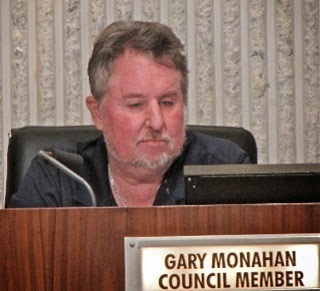 The council had it sprung on them and Monahan didn't have the common courtesy - or the wisdom you'd expect from a guy who's spent practically half his life on the city council - to discuss it with members of the Costa Mesa Police Department. Then, again, if you don't like to hear the word "NO", just don't ask the question, right? In my opinion, here's what should have happened. Monahan should have consulted with the CMPD and held a study session on the issue, during which all the apprehensions of his fellow-council members could have been addressed. The result should have been an ordinance about how Medical Marijuana would be handled should it EVER be approved for sale within the City. It would have prescribed how many and where such "dispensaries" could be located. More important, it would have had a BIG tax attached to it. That tax would be collected and earmarked to be used EXCLUSIVELY for youth activities - sports, drama, choir, cheer, etc. - in the city and dispensed to a third party - maybe the Costa Mesa Foundation - for vetting of groups based on pre-determined criteria and distribution of the funds. 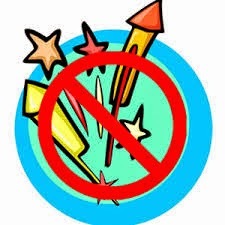 Then, we would get rid of personal fireworks once and for all and replace it with a municipal fireworks display at a local venue - OCC, Estancia Stadium or wherever. Gone would be the veil of "safe and sane" fireworks behind which the illegal fireworks are fired-off. Gone would be the campaign contribution by fireworks distributors. The "it's all about the kids" argument would be rendered moot, since "the kids" would get money from what would certainly be a reliable source - the Medical Marijuana "patients" among us. 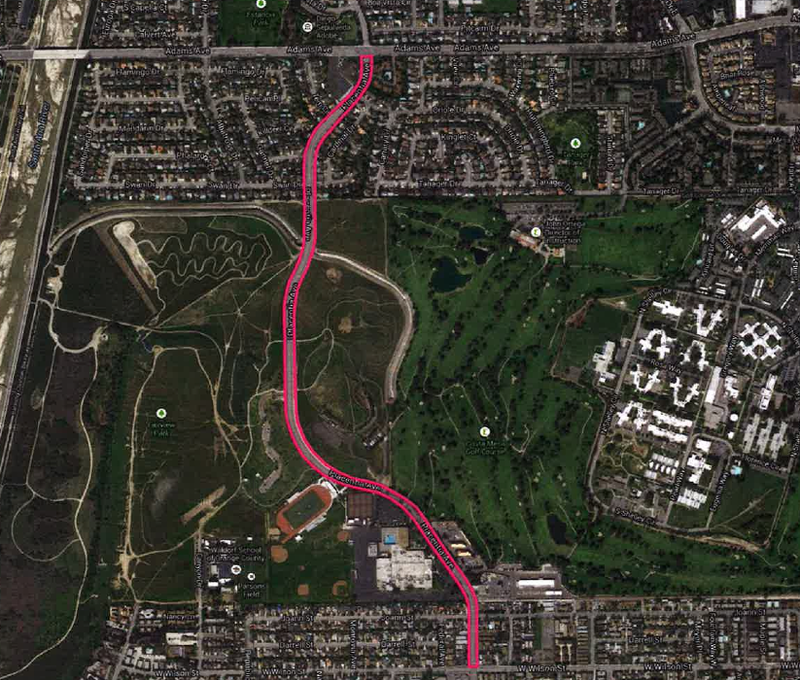 The meeting held Wednesday evening at the Emergency Operations Center for interested neighbors who live close to the proposed Placentia Avenue Median Project. A dozen people attended, including a couple staffers and some consultants. 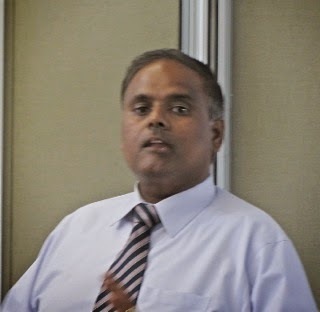 Director of Public Services, Ernesto Munoz and Transportation Services Manager Raja Sethuraman, told the small gathering about the proposal and showed some graphics depicting the plans as currently anticipated. They requested input from the attendees. We learned that this project will be funded primarily through over $844,000 in federal grant money - approximately 75% of the anticipated total cost. Kudos to Munoz, Sethuraman and their team for finding this funding. We learned that the roadway will not be widened for this project, nor will any of the many driveways and signaled locations be modified. And we learned that it is not anticipated that Placentia would be repaved following the installation of the landscaped medians. We learned that the objective is to slow traffic speeds on the section of Placentia between Wilson Street and Adams Avenue, where accidents are frequently reported, including one very recently. The assumption is that the installation of landscaped medians will give the appearance to drivers of a narrower street, which might slow down some of the speeders. One attendee suggested we just hire a cop to be visible in the area... seemed like a good idea to me. We learned that there are two plant palettes - one Mediterranean and the other California Native Plants - that will be used on this project. 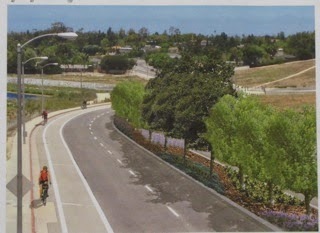 The Mediterranean look would be installed at the ends of the project and the California Natives would be planted adjacent to Fairview Park, in the center of the project area. We learned that this project will be presented to the Parks and Recreation Commission at their meeting on October 23, 2014. If the commission approves the plan it would be put out to bid and would be subject to final approval by the City Council early next year. It is anticipated that the project might begin a year from now and would likely be completed by the end of 2015. From the conversations I heard at the meeting, most of the attendees were grateful for the information and the opportunity to express their views. Unfortunately, the net that was cast - folks within 1,000 feet of Placentia were notified - seemed not to draw much of a crowd. Residents and others will have a chance to express their views to the Parks and Recreation Commission in October and, of course, can contact the Transportation Services Division at City Hall anytime at 714-754-5032. 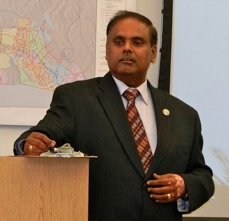 Today Manager Raja Sethuraman of the Transportation Services Division of the Costa Mesa Public Services Department will hold an informal meeting at the Emergency Operations Center (EOC) adjacent to the Police Headquarters from 5:30 - 7:00 to inform residents along the Placentia Avenue corridor between Wilson Street and Adams Avenue about the proposed median improvements planned for Placentia, and to gather input from those homeowners most directly affected by these changes. It's my understanding that, in addition to this presentation having been recently presented to the Fairview Park Citizens Advisory Committee, it will also be presented to the Parks and Recreation Commission at its meeting the end of October. I'll attend the meeting today and report the results. 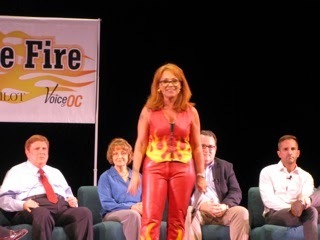 Are you ready to spend an hour or so watching the irrepressible Barbara Venezia and her merry band of interrogators grill candidates for Costa Mesa City Council? I know I am! 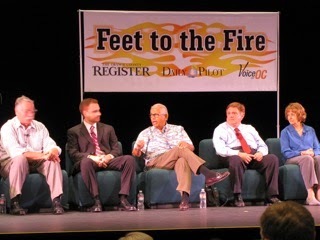 Thursday, September 18, 2014 - tomorrow night - Barbara will host the eighth in a series of Feet To The Fire forums in which she and fellow-journalists will question seven of the eight candidates for the two open council seats available in November. You can find out more information at the Feet To The Fire web site, HERE. Attending will be candidates Rita Simpson, Chris Bunyan, Tony Capitelli, Jay Humphrey, Al Melone, Jim Righeimer and - finally - Lee Ramos. Katrina Foley is sitting this one out for family reasons. Barbara will be joined by Daily Pilot City Editor Alicia Lopez, Voice of OC Editor Norberto Santana, Jr. and Daily Pilot Editor John Canalis. 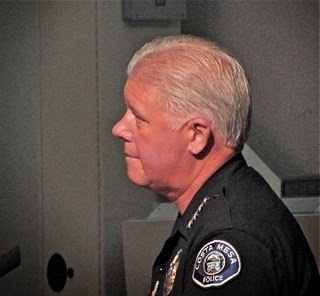 The Costa Mesa City Council meeting last night went about as anticipated, including some drama from an unexpected source... more on that a little later. The meeting started right on time, although without councilwoman Sandra Genis, who was ill. The very beginning of the meeting turned out to be the highlight as Costa Mesa Adventurer Bill Burke was recognized for his accomplishments including climbing Mt. Everest - twice! The most recent time was last May, when he reached the peak again. 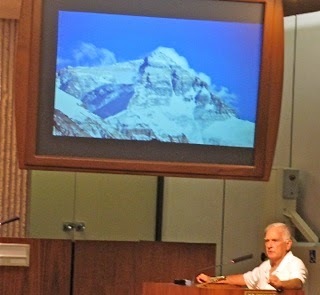 We're told the 72 year-old Burke has climbed every major peak in the world! Burke spent a few minutes showing a slide show of his latest climb, providing us with great detail of the travails of that effort. Mayor Jim Righeimer presented him with a plaque acknowledging his accomplishments. I suggest you find some time to watch the video of that portion of the evening - you will be amazed, as was the small audience last night. 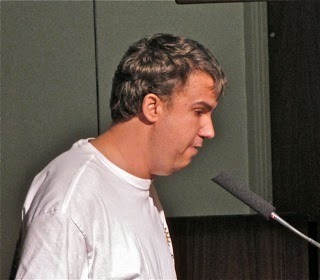 Eleven people completed speaker cards for Public Comments, so Righeimer agreed to let all of them speak instead of the remaining one (1) being required to remain to the end of the meeting. There was a small murmur of sarcastic cheers when he made that announcement. Ann Parker grilled Righeimer on the rehab homes issue, and wanted to know why the City had waited so long to put together an ordinance, citing the City of Orange ordinance. 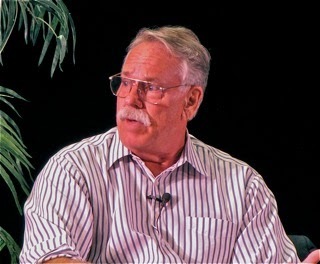 Chuck Perry - a Riganista and candidate for the Costa Mesa Sanitary District Board - stepped up again to praise the council for their golf course improvements, the new development at Newport Boulevard and Industrial Way and the general street improvements. 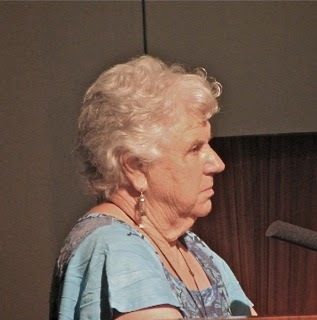 Sue Lester demanded action on the 60th Anniversary debacle, indicating that if the District Attorney isn't going to do something The City should release the CMPD report. 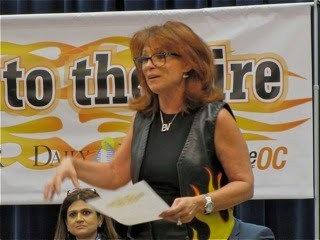 She also opined that the medical marijuana petitions are being circulated and that councilman Gary Monahan should keep the pressure on the council to produce an ordinance to control it. Jeffrey Hall invited all to the Project Independence event. 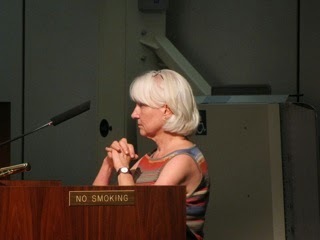 Beth Refakes reported on the recent I-405 Toll Road Town Hall. 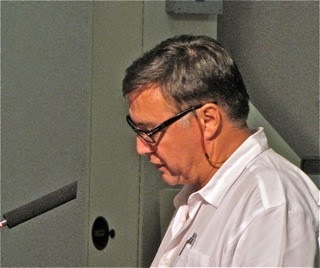 Robin Leffler complained that Righeimer's recent "Promises Made, Promises Kept" email blast was inaccurate and misleading. Funny, whenever I think of that document I cannot help but think he meant promises he'd made to his developer buddies... Cindy Brenneman echoed Lester's comments on the 60th. Teresa Drain renewed her demand for a forensic audit of the 60th and used a graphic to depict the cash flow of Transient Occupancy Tax (TOT) dollars through the City. 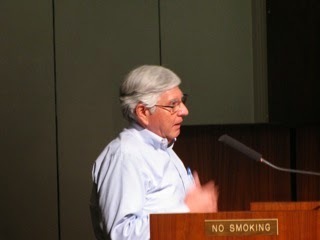 Greg Thunnel used quotations from Ronald Reagan and Abraham Lincoln to chide the council on issues of integrity. 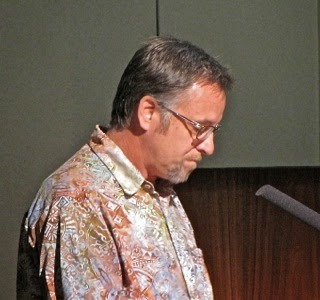 Looking like death warmed-over, Costa Mesa's racist laureate, M.H. Millard, (n)ever the class act, stepped up and told us the City is on the right track and is now attracting the "right kind of people". We presume he doesn't mean Latinos, since his body of work vilifies any race except white. He referred to opposition voices as "hen-pecking blowhards", told us that "liberals tried to turn the Westside into a permanent ethnic ghetto" and that we should be careful not to elect the "wrong people". 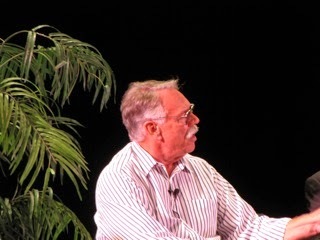 He then made a curious - even for him - comment about some folks being "la-de-da", and that we don't want Costa Mesa to become Santa Ana, which he described as" a zoo every night". I chuckled, since that city does, in fact, have a zoo. Such a sad man and a tragic waste of an intellect - he's a Mensa member, don'tcha know? Former city council candidate Karl Ahlf was the final speaker complained about illegal fireworks and he addressed the need for compassion for our veterans and cited some suicide statistics. He also acknowledged the Mexican Independence Day - yesterday was that day. During Council Member Comments Wendy Leece addressed the Fireworks issue and indicated that she would be studying a way to eliminate them. She referred to a "median meeting" today in the Emergency Operations Center that nobody seemed to know anything about. Earlier in the day I asked Director of Public Services, Ernesto Munoz, about the meeting and he had no knowledge of it. Before the council meeting began he told me that there was, indeed, such a meeting at which the presentation made to the Fairview Park Citizens Advisory Committee recently would be duplicated. It's unclear whether the meeting begins at 5:30 or 6:30 tonight. It theoretically runs until 7:00 p.m. Leece also complimented Mesa Water for the good work it does keeping us in drinking water and closed her comments by telling us that she, Sandy Genis and Gary Monahan would be meeting in a closed session to begin discussions about the Costa Mesa Police Association contract negotiations this Friday at 10:00 a.m. Finally! Monahan, bless his distracted little heart, told us that because it was campaign season there was a lot of inaccurate information going around and parroted Millard's "la-de-da-de-da" blather. You know he's in trouble when the best he can do is echo an incomprehensible inanity from a racist. Good grief! Righeimer addressed the complaints about the 60th Anniversary investigation and asked Police Chief Tom Gazsi to step up and address it. He asked Gazsi if we should release his - the CMPD's - report? Gazsi told him that he was not inclined to release the contents of the report until there is a conclusion to the issue, and thought the District Attorney's office would feel the same way about their information. 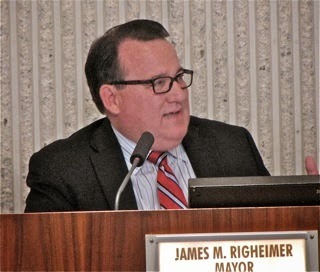 Righeimer then tried to deflect earlier criticism of the city's financial situation, indicating that the way a municipality balances the budget is different than the way a business balances a budget, and launched into his campaign chant about previous councils "blowing through $35 million in reserves". We're going to hear that at every opportunity for the next couple months, even though he knows it's inaccurate and misleading. Previous councils used reserves for the reason they were accumulated - to bail us out of emergencies, like the economic downturn of the late 2000's. He told us there's a rehab home ordinance that will be coming to the Planning Commission at their next meeting, and he solicited the public's input. And, he mentioned the I-405 Town Hall, and how CalTrans representatives seemed more willing to listen. Funny, that doesn't track with any other report I've seen or heard about that meeting. What does he know that he's not telling us? Steve Mensinger took credit for the infrastructure improvements mentioned by Perry earlier - big surprise! He then launched into the usual tirade about the value and tradition of fireworks in the city. He then complimented CEO Tom Hatch for the success of Camp Costa Mesa - the summer program for youth in the city. CERT AND THE "BIG DIG"
During his comments Hatch spoke about the recent recognition of the Costa Mesa CERT program by FEMA. He had Munoz give a brief update on the "Big Dig" - the water treatment project underway at Lions Park. He also spoke of the recent criticism of monies paid to our new insurance broker. Several items were pulled from the 16-item Consent Calendar for later discussion. 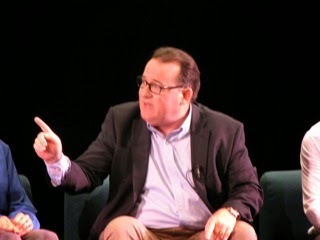 Public Hearing #1, the 2nd hearing on the contract between The City and the Costa Mesa City Employees Association (CMCEA) was conducted by negotiator Richard Kreisler - the $300 per hour lawyer from Liebert Cassidy Whitmore. He spoke of the success of the COIN process, citing a nearly $1 million ongoing savings and a one-time savings of about that same amount due to the outsourcing of the Street Sweeping activities. (Hatch told us they expected the contractor - Athens Services - to take over in October since the contract had already been negotiated. Did we mention that they are big campaign contributors to Righeimer? 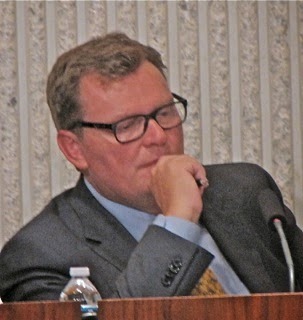 During public comments on this issue Jay Humphrey complained that this process, COIN, is used ONLY for labor negotiations, not other commercial contract activities. 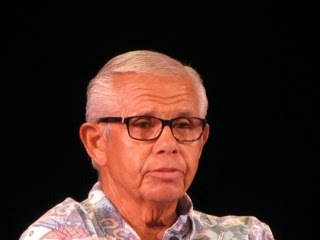 Robin Leffler reminded the council of it's ham-handed handling of the layoffs a few years ago that caused Huy Pham to leap to his death and postulated that the punitive nature of this contract will hurt those employees who make the least the most - and it will hurt their families. Monahan observed that the average compensation package for the employees under this contract is $105,000 - but neglected to mention how many employees fell well under that number. One had the idea that he was a little envious of the pay of some city employees. It was clear from the tone of his question that he didn't have ANY sympathy for them in this matter. Righeimer observed that, with the Street Sweeping outsourcing, not a single employee was laid off. He said that 80% of the budget is in salaries and benefits, so that's where COIN is focused. He went on to praise Mensinger effusively for the COIN scheme - something he said will spread like wildfire now that there has been a negotiation completed using it. He thanked the negotiators on both sides for their efforts. The motion to approve it and the resolutions passed, 4-0. 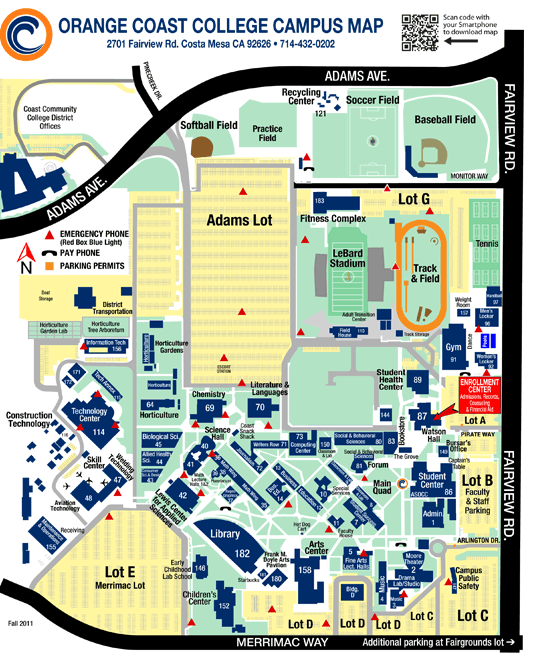 At 8:00 the council began the second hearing on the Santa Ana/Colleen annexation issue. There was virtually no discussion before public comments were opened. 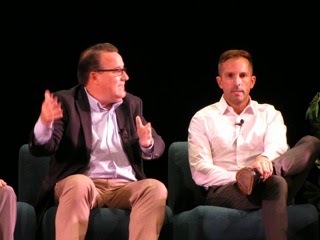 The first two speakers represented the ownership of the strange-shaped parcel of land that is going to be developed once annexation is complete. Both cited relief that the "long haul" is over. Two residents spoke about this process with great passion. To summarize their thoughts, both felt the council was "disinterested" in the plight of the property owners in this annexation island. They felt - probably appropriately so - that this annexation was developer-driven - that the owner of the vacant land wanted the parcel to become part of Costa Mesa so more homes could be built on it. The way this has played out, it certainly seems that way. One of the speakers mentioned learning that the developers had been working with the City on this project for a couple years! 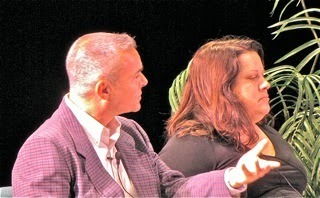 Later, as Righeimer attempted to rebut comments, both men yelled out from the audience, calling Righeimer a liar. He cautioned them that they were disrupting the meeting - the code word for "if you don't shut up I'm going to have you removed from the auditorium". Both men left in a huff, shouting back over their shoulders. Can't blame them. This thing appears to have been rigged (pun intended) from the beginning. Among the other speakers, Leffler suggested this was "annexation without representation" - an appropriate and clever turn of phrase. 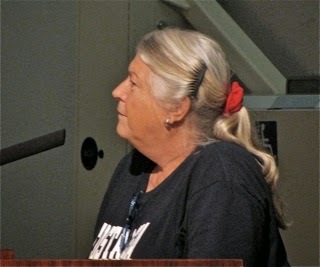 Long time resident Mary Spadoni scolded the council for their shabby treatment of the newest Costa Mesa residents and suggested that the council's behavior will be remembered in future elections. When the vote was taken it passed, 3-1 - Leece voted no. The Consent Calendar items were discussed - Greg Thunnel pulled the Warrant to discuss the legal costs. Item 11, the extension of the contract with CARE Ambulance, had been pulled so Righeimer stepped out of the auditorium because that firm had contributed more than the permitted $249 to him. Fire Chief Dan Stefano explained why the extension was necessary - in a nutshell, the city is not quite ready to take over the transportation of injured in our new medic vans. He explained that his preference is to take that over sooner than later, but the extension with CARE is essential right now and can be cancelled immediately whenever the city chooses to do so. A lot of extraneous conversation about Fire Department staffing and deployment models sidetracked this issue briefly. Eventually it passed, 3-0, after a half-dozen speakers expressed concern and impatience with the pace of the conversion to the Medic Van system and the revenue generation that will accompany it. At the very end of the meeting one woman who didn't identify herself and I didn't recognize her, stepped up to tell the council that she was very disappointed with the male majority on the council... that was it.